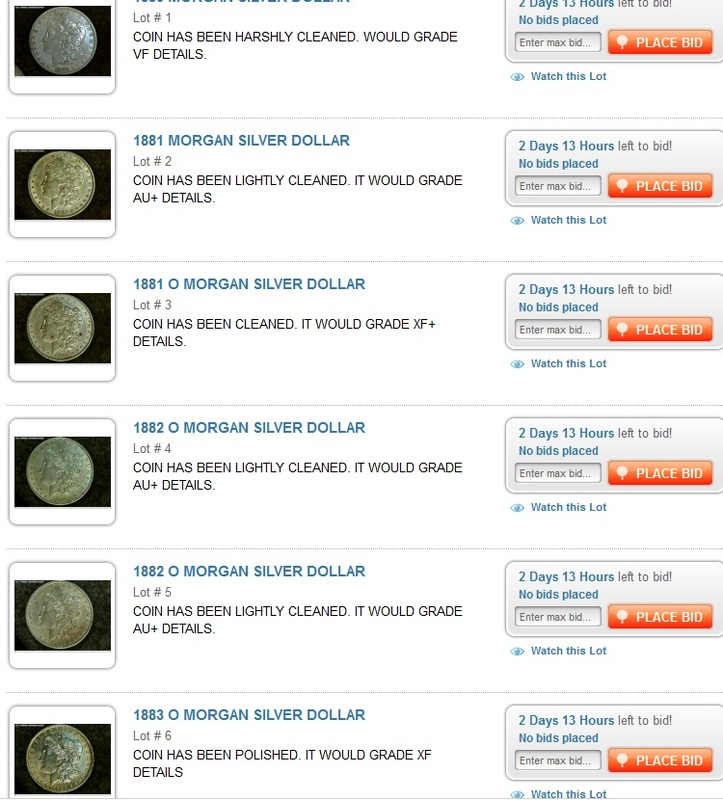 One Big Booyah to Liberty Shops Auction not only for one of the lowest buyer’s premium’s on Proxibid, 8%, but also for accurate numismatic lot descriptions so that bidders know what they are winning and can place maximums accordingly. Boo! to this unnamed auction house and consignor. 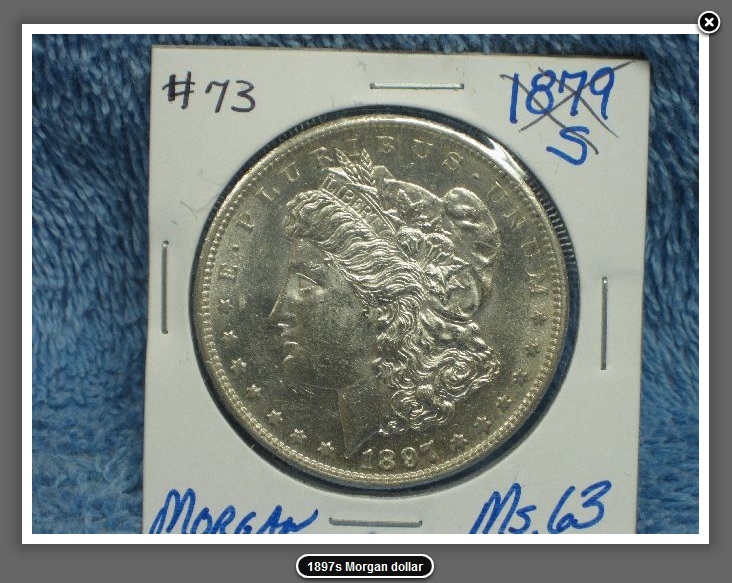 The seller misidentifies on the flip a Morgan 1898 dollar for a rare 1893. (The 8 and 3 do look alike, but on expanding of photo, the two 8s in the date match. The auctioneer copies the flip information without checking. That’s not the case with all auctioneers. Take a look at the next item. 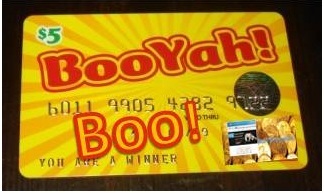 One Big Booyah to Kaufman Auction! 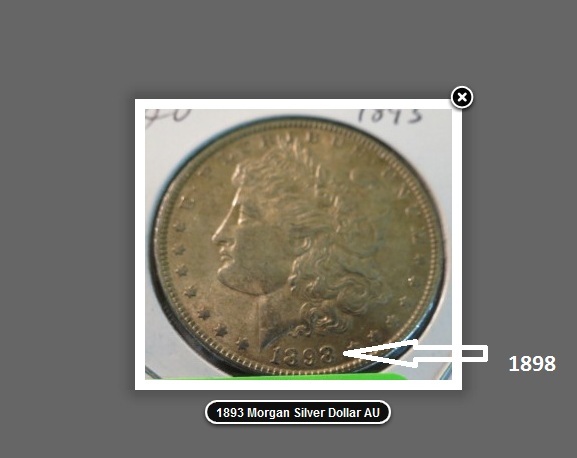 not only for checking the date on the Morgan dollar but also for correcting it twice–on the flip and in the lot description. These seemingly small courtesies go a long way in establishing trust. Booyah Leonard Auction! for noting artificial color on an expensive Isabella quarter. One reason we always bid in Leonard auctions is that we know what we are trying to win. 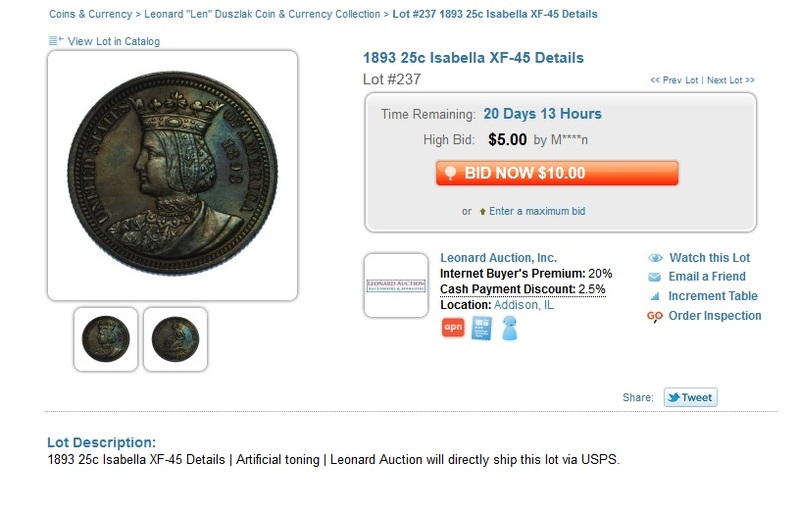 John Leonard provides excellent photos, professionally accurate numismatic lot descriptions, and is well known both in dealer and auctioneer circles. We bid with confidence here. Booyah Midwest Coins! for noting a rim ding on a desired lot. Rim dings are often missed in scanning a coin for flaws. By identifying them as here, bidders know precisely the condition of the coin, especially if they had plans to send it in for professional grading. Booyah Munda Auction! for noting that this key-date dime has a flat spot–typically a sign of alternation or, perhaps, damage. 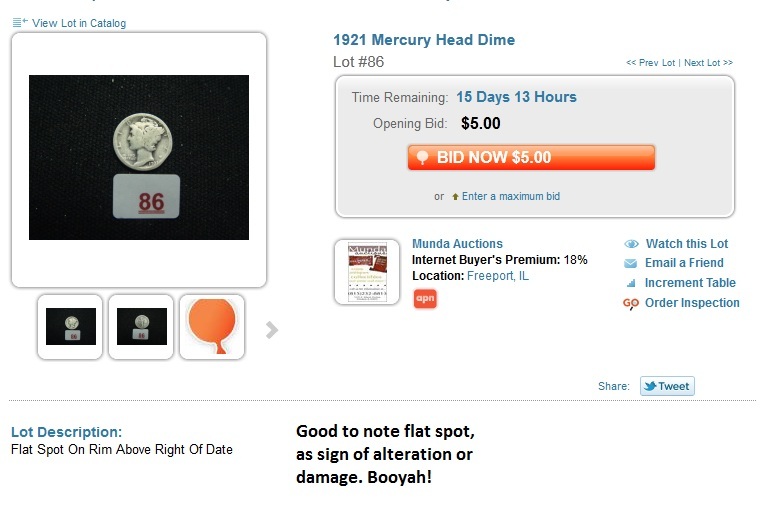 The dime’s surface area is small, so the auctioneer once again is providing not only a courtesy but a service to online bidders. We’d like to see more of this on Proxibid. Boo! Boo! Boo! 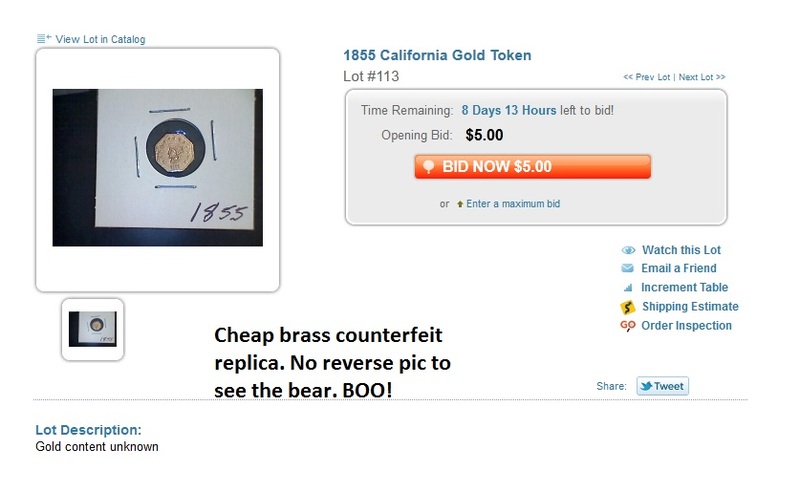 to this unnamed auction house for identifying a brass replica as a gold token and then not providing a reverse photo to see the bear. It states “Gold content unknown.” (That’s always a giveaway.) We grow so weary seeing auctioneers call replicas and counterfeits “tokens”–a precise numismatic term. This kind of thing led eBay to ban all replicas. Proxibid will go in that direction once bidders start charging auctioneers with violations of the Hobby Protection Act. 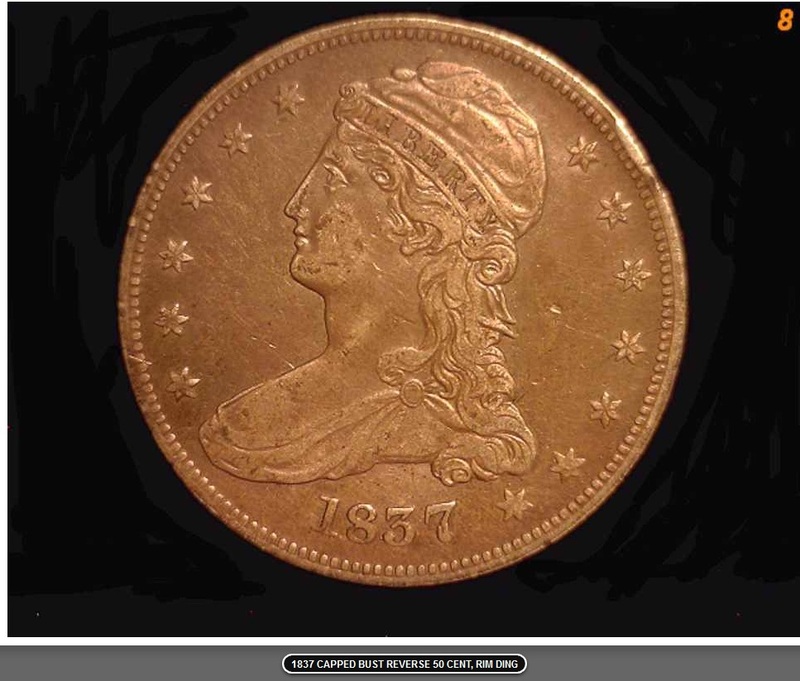 See this article to tell how to distinguish real from fake California gold. Boo! to this unnamed auction house for trying to pass off an altered, polished coin as deep mirror worth hundreds of dollars … rather than the silver melt of this lot. Do NOT say DMPL unless you mean it and know how to identify it. Same goes for cameo. See item below. Boo! 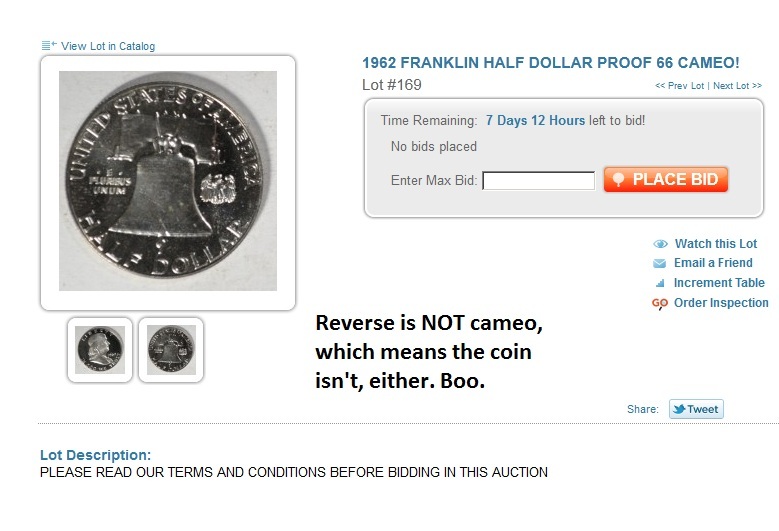 to this unnamed auction house for stating that this is a cameo. The obverse is cameo or even ultra cameo; but the reverse is neither, which means the coin isn’t cameo. The proper way to list this coin is cameo obverse. Booyah! 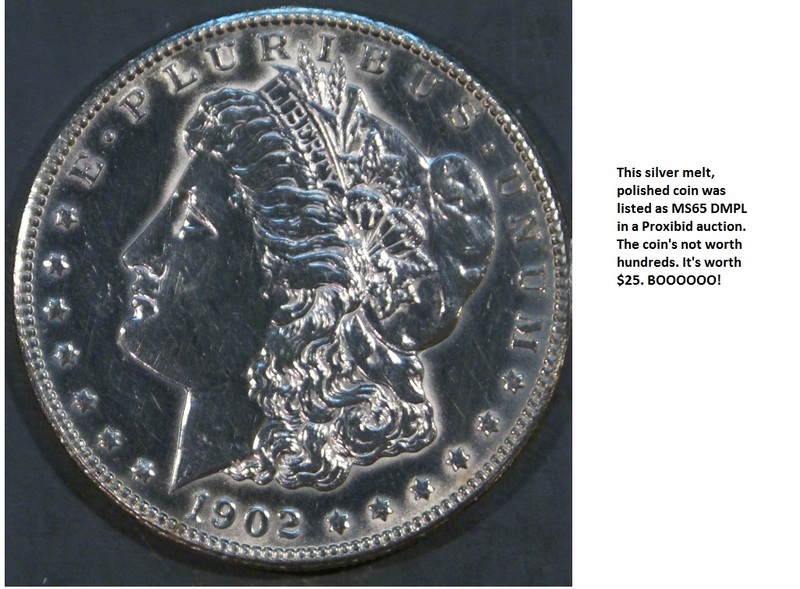 Legacy Auction and Realty for identifying a polished coin. Polishing is an attempt to restore luster into a coin that lacks it. It has ruined millions of coins. 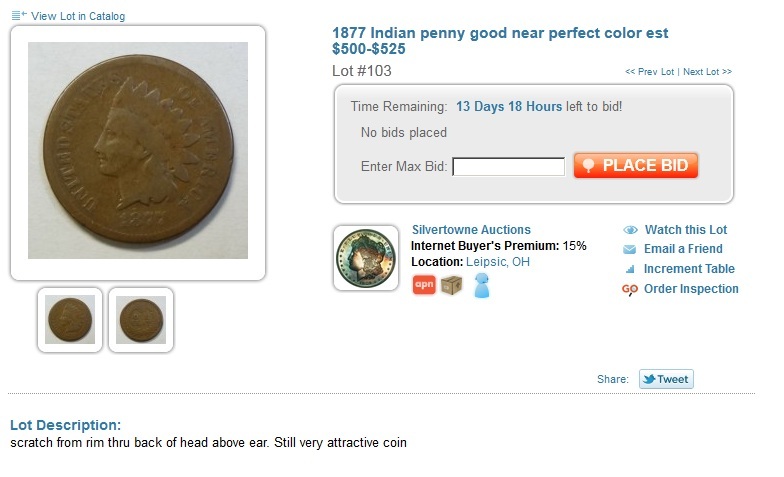 Auctioneers should always identify altered coins, especially polished ones that flatten devices. Booyah SilverTowne Auction! for identifying a difficult to see scratch on a rare coin. Scratches make coins ungrade-worthy at PCGS, NGC and other top holdering companies. That’s why it’s important to note. This entry was posted in Boos and Booyahs! and tagged John Leonnard, Kaufman Auction, Legacy Auction and Realty, Leonard Auction, Liberty Shops Auction, Midwest Coins, Munda Auction, SIlvertowne. Bookmark the permalink.